I think it’s truly sad that so many people seem to be afraid of cycling in many areas. Honestly, I think the only way to overcome the fear though is to just do it. There was a recent post on Change Your Life. 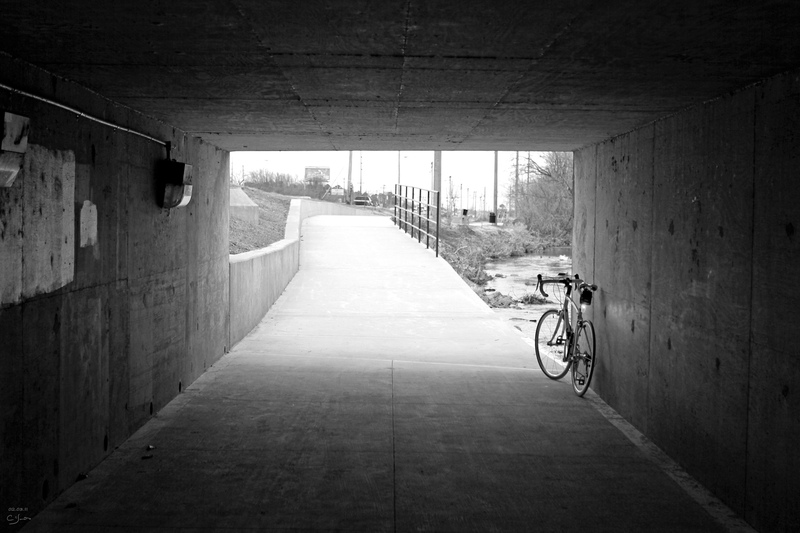 Ride A Bike (http://changeyourliferideabike.blogspot.com/2011/01/we-have-nothing-to-fear-but-we-do-it.html) in which the discussion of fear in our society came up. I think this falls into the same lines in some sense. As a whole, we’ve somehow allowed ourselves to believe that there are so many things to be afraid of on a bicycle. I don’t know how we convince others that it’s not an extreme sport to go for a bike ride until a person is willing to try it for themselves. Then they can see first hand that as long as they are aware and doing what they should be, cycling really isn’t that scary. As with anything, the more we do it, the more comfortable we become and the confidence in our own skill becomes greater. You did more black and white’s just for me, didn’t you? Good to see you further promoting the 8/80 concept…..good stuff. Us cyclists have much more power than we realize. Let’s make it happen. You got it, D – b&w was just for you! 🙂 And yeah – power to the pedalers! One main difference between Tennessee and New England (where I lived for most of my life) is that the latter tends to have roads with ample shoulders while the former doesn’t believe in shoulders much at all. And while I agree that cyclists have all the rights and responsibilities of the road, I’m certainly hesitant to ride on a high-volume, two-lane road if there’s no shoulder and no turning lane in the middle. That said, I do know several folks who are riding more or starting to ride for the first time, either because they know it’s a good thing or because they can’t stomach the price of gas. I’ve also noticed that, as roads are repaired around town, a lot of the roads them have had sidewalks added where there were no sidewalks before. It’s not a bike lane, for sure, but it’s indicative of a growing trend: an increasing awareness that Tennesseans (and Americans in general?) can no longer afford their car addiction. Yes – you know exactly! The one road that continues to amaze me – because I see so many people attempting to walk it and bike it – is the whole Paul Huff corridor. 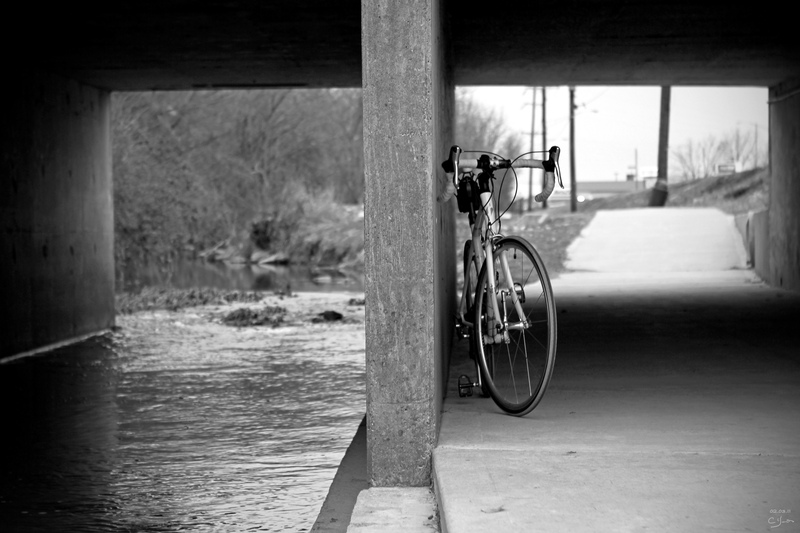 For me, it is the worst stretch in town – and sadly, one that I often have to ride on. Although there are sidewalks to the east of Lee Hwy, the majority of the commercial/developed section is shoulder-less, sidewalk-less and the 50mph speed limit is ridiculous. Personally, I won’t ride there during peak traffic and circumvent the area whenever possible. Yeah, I’ve biked on Paul Huff a couple of times, and boy did I ever feel like I was taking my life in my hands. I did ride the northern extension of the greenway not long ago, and, boy will it make things easy when it’s all connected. On another, slightly less significant yet still important note, Lupi’s installed a bike rack in front of the restaurant. 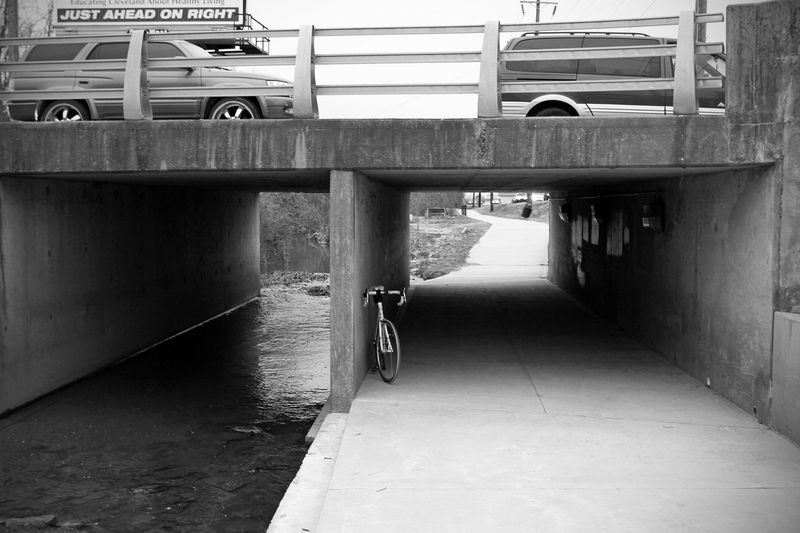 A small gesture to our paltry cycling community here Our Little Metropolis, but I’ll take it. Here in California, the “fear factor” has not only kept school children off their bikes, but off their feet as well. 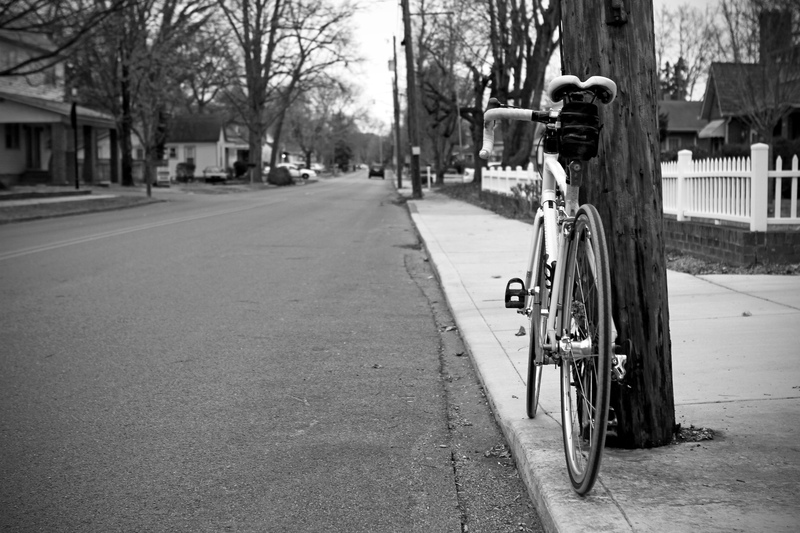 I grew up walking or biking everywhere and there were droves of us that did. Now parents are afraid to let their children bike or walk for fear they will be kidnapped by a predator (not hit by a car!). It isn’t like it happens that often, but hundreds of thousands–maybe millions of children are shuttled both ways by harried parents fighting the traffic on streets that weren’t meant for that many cars. Gas prices aside–what about childhood obesity and sedentary lifestyles that are nurtured from birth? How lovely would it be for moms to take the streets back for the bikes and pedestrians. I have read the safest way to bike with your children is to lead them. All it takes is a few to start a movement! Let’s show the newest generation the way. I so agree … nothing makes me more nuts than seeing the lines of cars queueing up, idling for 30 mintues or more, near the schools twice a day – most of them dropping off/picking up a single child. I have heard parents talk about fear of letting their children ride the school busses, let alone risking letting them walk or ride a bike (in areas where that is still even possible). I, too, grew up walking (and riding a bike) to school all the way through high school, and then relied on walking and public transit during college in Chicago. I can only hope that the pendulum is (slowly) swinging back toward a more reasonable model that includes walking, biking and safe streets. But now you made me think. I’m fortunate to have a trail right from my front door to downtown/work and it’s really well groomed. Everything I need is along this trail therefore riding on streets has never really been a thought of mine but I wonder what I might be missing out on. I would say that feeling confident about riding in traffic just requires a bit of a progressive process for most people. When I started bike commuting 3.5 years ago, my route was almost entirely along MUPs and a few stretches of quiet side streets. When we moved about 2 years ago, my commute distance doubled to 18 miles each way with more than half being on streets with moderate to high traffic. I am positive I would never have even considered riding that route and distance if that was where I had to start, but the 1.5 years of riding on the MUP gave me the confidence to try it. Before long, I didn’t mind the traffic or the distance much at all. 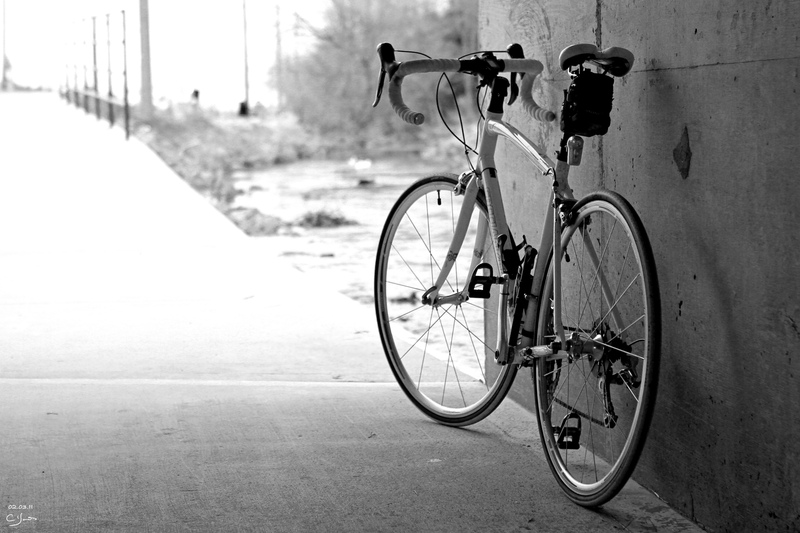 Hopefully, if we can encourage people to even get out and ride a bit more on the MUPs and greenways that are available to them, at least some of those people will gain the confidence to start riding elsewhere, further encouraging others to get out and ride. I do agree with you … and I think experience and knowledge of dealing-with-traffic tactics can make a huge difference in confidence levels, and increase someone’s willingness to commute by bike. I guess in my ideal world, the people who are not so experienced or skilled or ride with great frequency, could have an “easy” opportunity to ride somewhere (out for coffee, to the bank, to the store), and as you said, I think availability of bike paths and greenways is key to that gaining of experience.